You may have noticed I have been quite absent for a few weeks now. I'll leave the excuses for later. Right now I want to share three new Colores de Carol polishes with you! Baccano (Mischief) is a light blue/shimmery gold linear holographic with holographic micro flakes. WOW! This polish is so beautiful and unique, I don't have anything close to it in my collection. It looks like the sun shining on a Winter frost. This was two coats plus top coat. Note: This polish will be available only during the weekend of Black Friday! 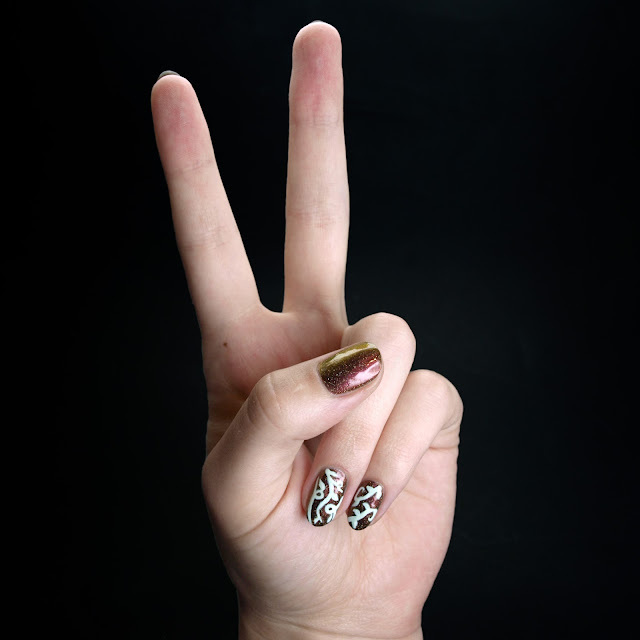 We're down to just a handful more posts for the ABC Challenge! For the letter V I went for a vine pattern. I was hoping I had a stamp with the right look but couldn't find one. I'm not really sure how I feel about these freehand vines though. I keep going back and forth on them. I chose a light green polish to paint over white acrylic, but they don't look green at all in the photos. Oooooh well! Hey guys! Sorry my posting has been so scare lately. I've been feeling a little off my game, especially with the recent holiday and family birthdays. I had these photos ready to go last Friday but just didn't have the motivation to write about it. So before I fall any further behind on my ABC Challenge, here you go! Here we are on week 20 of the ABC Challenge already! Well, it's not like it's exactly flown by, but still. Only six weeks to go! I was stumped (wait for it..) for ideas for today's "T" prompt until I remembered that I wanted to do this tree mani. I originally had some different polishes in mind for it but I recently got a few new piCture pOlish shades and I knew I wanted to include the gorgeous Mossy here. Hey peeps! I have three stamping plates from the awesome UberChic Beauty to share with you today. All three are great for this time of year and I am especially loving the Lovely Leaves plate. I'm personally not a zombie fan outside of the movie "Shaun of the Dead", but I know many of you are. I stayed away from anything gory 'cause that's not my style, ans still had lots of fun with the looks that I made from it. And then owls. C'mon, everyone loves owls, right? *I apologize if you want any of these polishes because they're not available any more! * I swatched these polishes a few months ago and just haven't gotten around to writing a post. 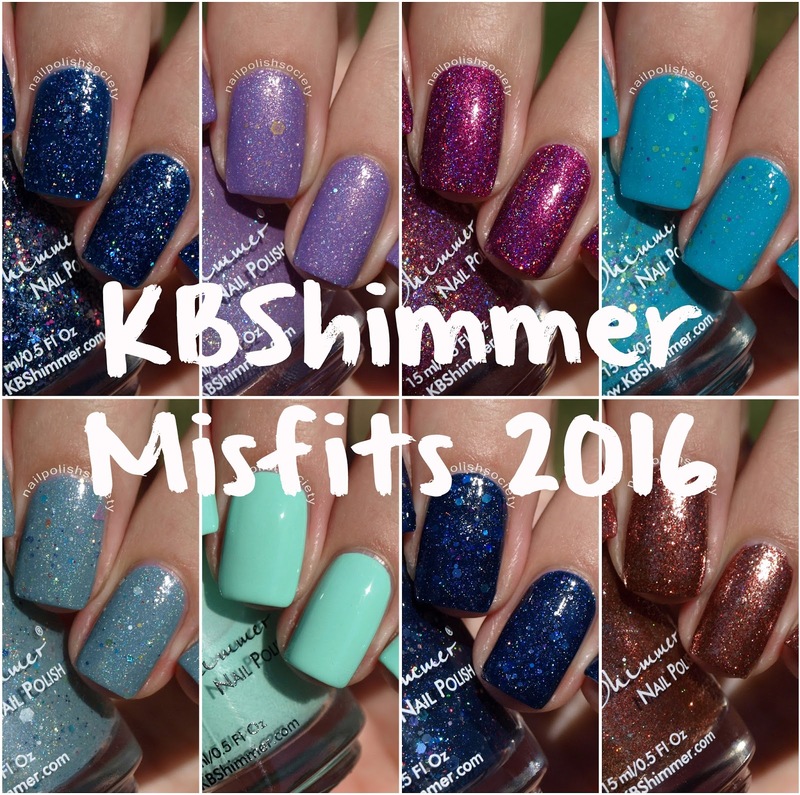 Even though they're not available anymore I wanted to show them off for anyone who hasn't heard about KBShimmer's Misfits. I hadn't heard of them before this summer but I believe that it's a yearly thing that the polishes that didn't quite make the grade are sold for a really great price of $5 or $6 dollars. With prices that good, I ended up buying eight of them (out of the 22 released). Looking at them the first reaction is, "Wait, these are misfits??" There are some truly stunning shades, just take a look and see! Hello lovelies! Today I have two smaller Celestial Cosmetics collections and the September 2016 Limited Edition shade to share with you. There are so many gorgeous polishes here, I'm going to jump right in! I've been waiting for this day in the ABC Challenge for months, and it was timed perfectly! My piCture pOlish collaboration shade Sisters was released about three weeks ago and I knew that's what I wanted to use for the letter "S". You can read all about my inspiration for Sisters in this post HERE. Hey peeps! As I mentioned in my last post I went out of town this weekend, and I was totally stressed by all the preparation for it. 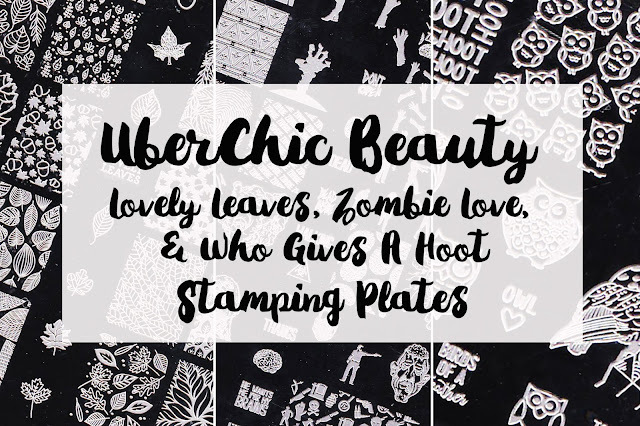 I thought I had planned my blog posts as well as I could but completely forgot that the ABC Challenge was scheduled to start back up last Friday! Whoops. Thank goodness some of the participants were more on the ball, not only did I forgot my post but the linkup as well. I'm sorry this is almost a week late.. but here is it. Hello ladies! I've taken a few days off because I went on a little vacation out of town. I will fill you in on my trip soon! 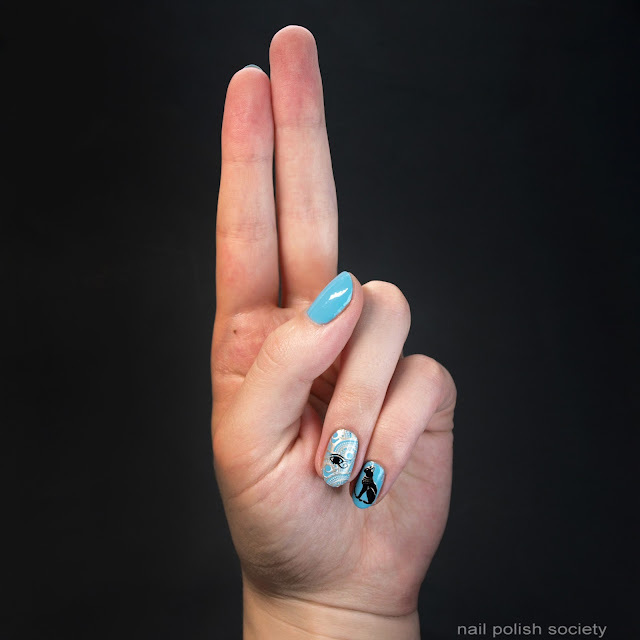 Today I am sharing with you a gorgeous polish along with a sheet of dog-themed vinyls that were created for a good cause. 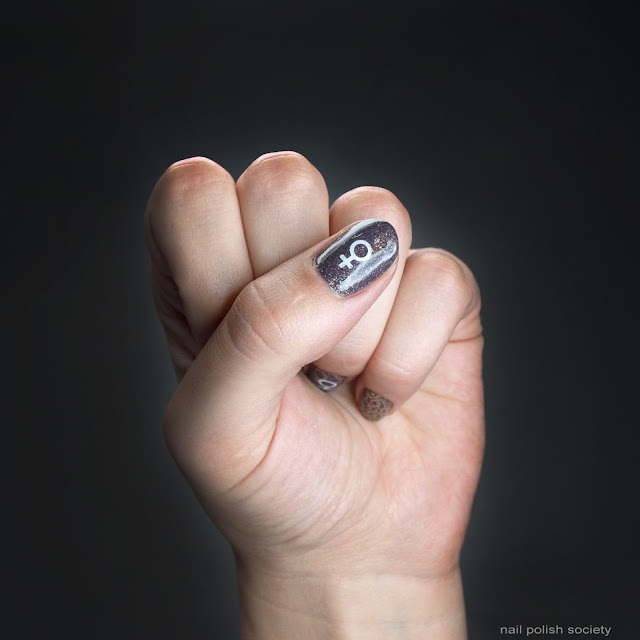 It's a Halloween heavy week here at Nail Polish Society. Today's post is a review of Colores de Carol Halloween 2016 Collection, plus a Breast Cancer Awareness Duo. I am leaving for a trip out of town today, so I'm going to get right to it! Hey ladies and gents! I have more delightful Halloween fun to share today! 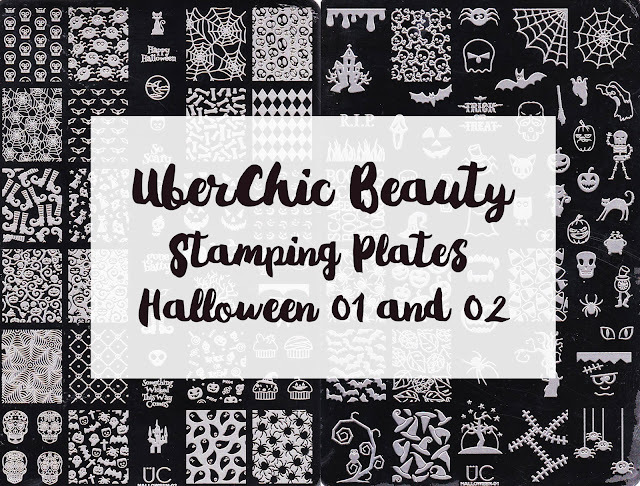 I've done a few nail art looks using UberChic Beauty's Halloween 01 & 02 (the second one is new this season) stamping plates. As much as I love Halloween, I don't love everything associated with it. I am not a fan of gory/gross nails, they give me the heebie jeebies. Fortunately the images on these plates are cute and fun, with the exception of a couple of the spider images. I was especially inspired by the spider webs, I think they make for some really pretty designs (like my favorite Halloween spiderweb and roses mani). So let's take a look of what I came up with! It's been awhile since my last Powder Perfect review and I'm so pleased to be sharing this gorgeous duo with you today. And can we say YASSSSS for Halloween?! This is probably favorite time of year and I am just soaking it up right now. Both of these polishes are very unique and perfect for this time of year. "Inspired by the three witch's poem from William Shakespeare's Macbeth, our Halloween duo this year is fiendishly wicked! This witchy twosome features complex finishes in unusual shades that perfectly capture the spirit of Halloween." Hello lovelies! Now that the 31 Day Challenge is finally over I am getting back to posting reviews that I have gotten behind on. Today I have Celestial Cosmetics' Love Never Dies Collection and the August Limited Edition shade to share with you. This six piece collection is inspired by the movie Bram Stroker's Dracula and the costumes of its different characters. Let's take a look..
Did y'all enjoy this year's 31 Day Challenge? I don't know if enjoy is the right word for how I felt during the process, but looking back on all these makes me really proud of what I accomplished! It's worth it just to have all that work together here in one place. Which one(s) was your favorite? It is reeeally hard for me to choose, I am attatched to so many of them. So that I don't go overboard with my list I'll stick with my top two: my Autumn Rays and Lonesome Dove manis. I tried this year to keep things simple and stuck to that plan for the most part. I'm so glad I did because it helped me retain most of my sanity. Even though I didn't plan the majority of my designs ahead of time I still found lots of inspiration- more than I expected. I may just do it again next year! I am especially happy with how much I improve each time with this challenge. For comparison check out my 2013 and 2014 roundup posts. You can also find all these posts together on my Pinterest board! Huzzah! This is it! The 31 Day Challenge is finally over! I am so proud of myself that I was able to finish again this year. Believe me, there were many points when I just wanted to give up. I am exhausted but also really proud of the work I've done this last month. Today's prompt is "honor nails you love" and I decided to recreate this beautiful look recently done by @rikkis_nails_. I saw it a couple days ago and was impressed with the gorgeous contrast. I am happy to complete the challenge with a mani that I really love! Yassssss! The 31 Day Challenge is so close to being over! I wish I could say this month has just flown by but I felt like the end would never come. I've been looking forward to this day for another reason though. Today's prompt is "inspired by a tutorial" and I've anxiously waited to try this tutorial by My Simple Little Pleasures. Today's post is a two for one deal! It's both Day 29 ("inspired by the supernatural") of the 31 Day Challenge and the monthly Paint All The Nails linkup with some amazingly talented bloggers. Last month I was sad I couldn't participate in the linkup, but this month we chose to do a watercolor theme and I HAD to join in because I'm a little obsessed with it right now. It was perfect timing since I already had the idea to create these ghosts for the challenge. And thusly I combined two posts into one. For today's 31 Day Challenge "inspired by a flag" I didn't do much thinking outside the box. Red, white, and blue nails are always a win for me, so that's the direction I took. I found two gorgeous polishes and kept the design simple to let them be the "stars" of the show. Now if only I had some patriotic event to attend today! Labels: 31DC2016, Colores de Carol, MoYou, stamping, USA!